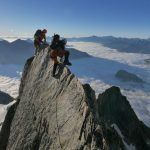 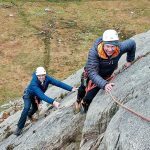 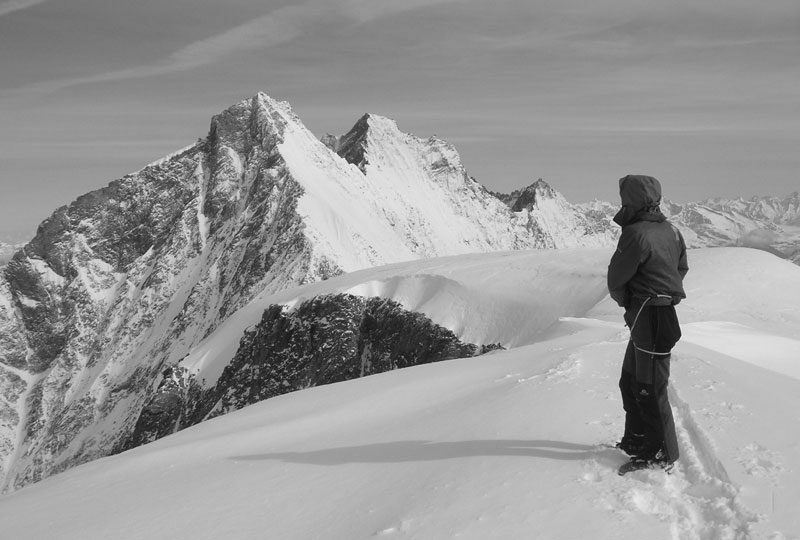 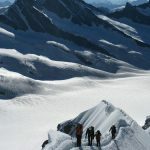 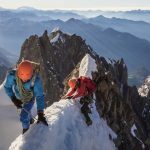 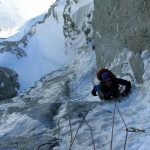 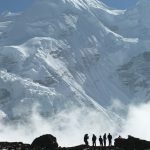 This is a 5 day guided ski mountaineering team programme offering the chance to do multiple demanding physical and technical high altitude ski peaks. 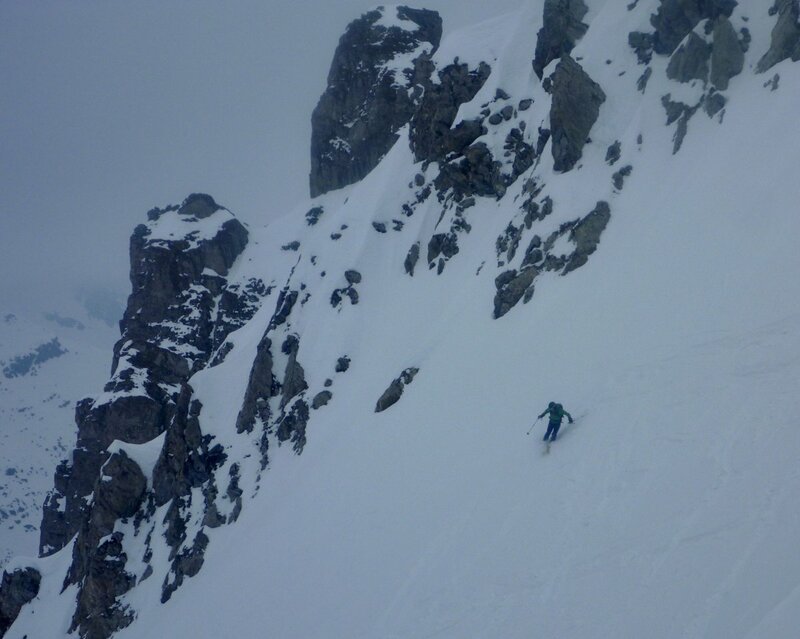 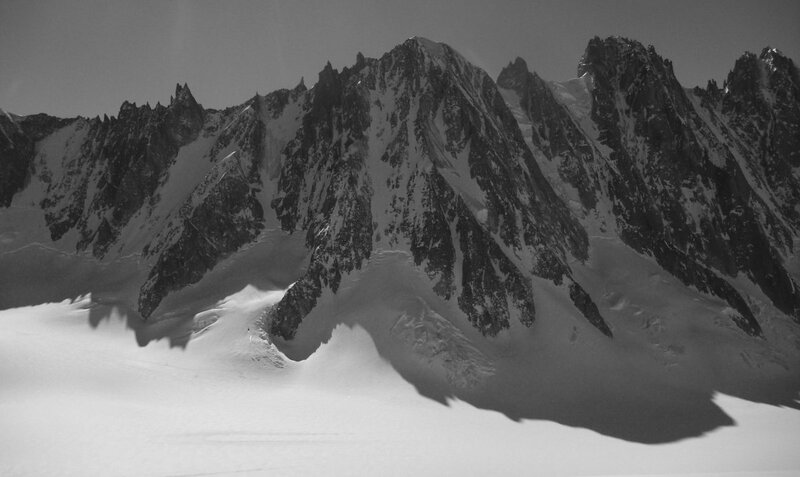 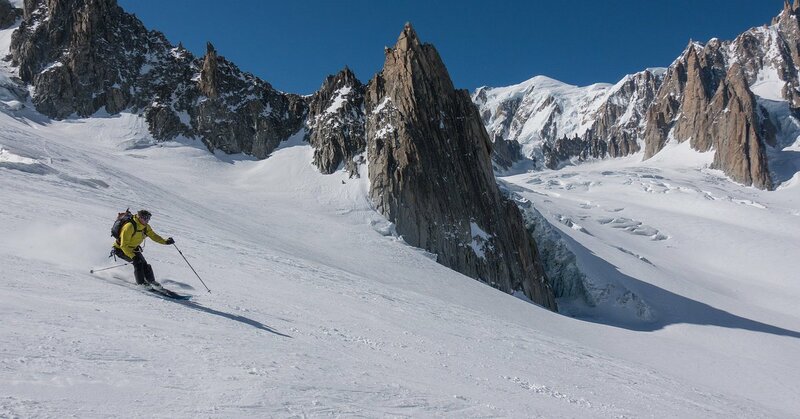 In 2019 we have an ambitious programme attempting to ski 4 x 4000m peaks in 4 days, after a Chamonix based warm up touring & acclimatisation day. 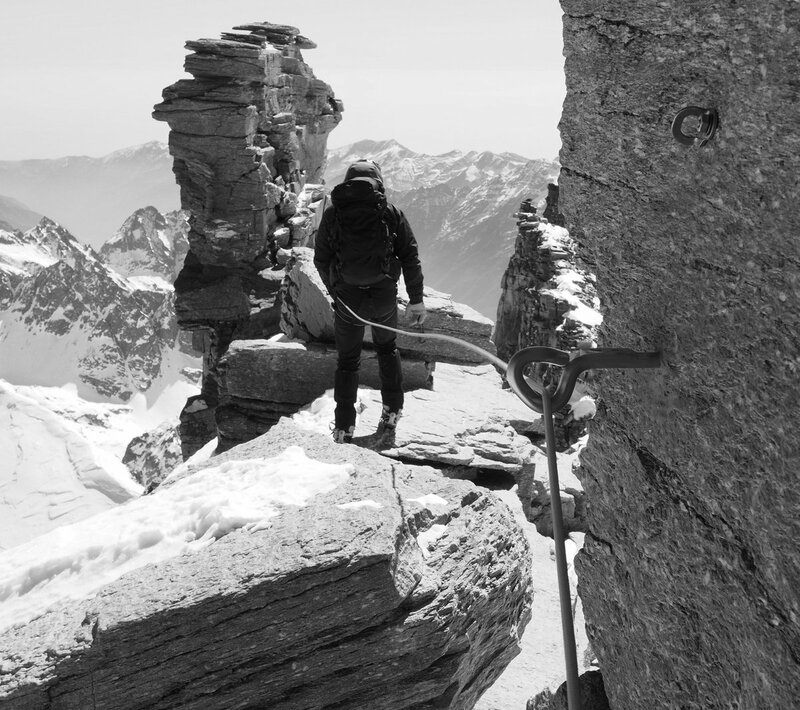 Even by the normal tough standards of this course, this year is pretty physical and presents a sustained yet highly inspiring week! 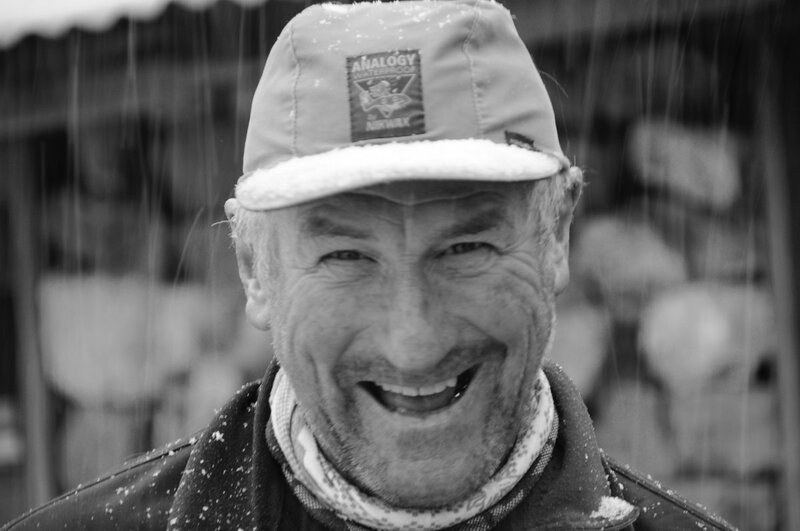 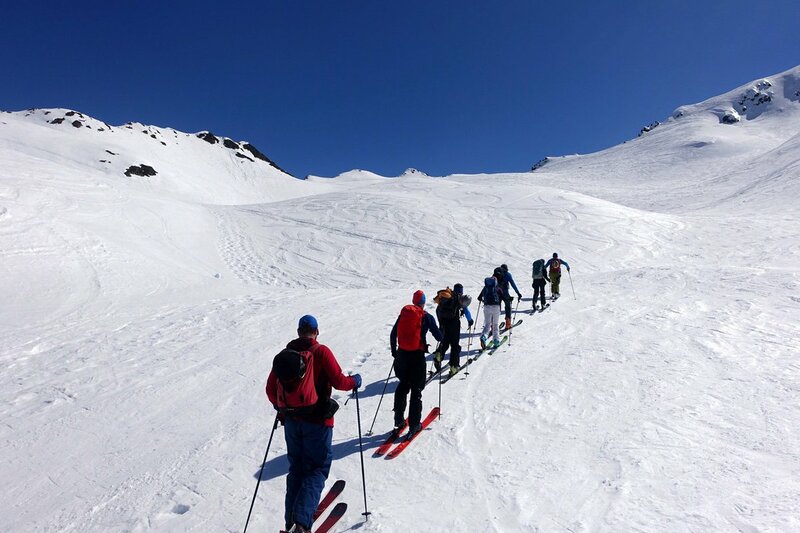 So if you have good ski touring experience, and excellent mountain fitness, we hope you can join us in May 2019! 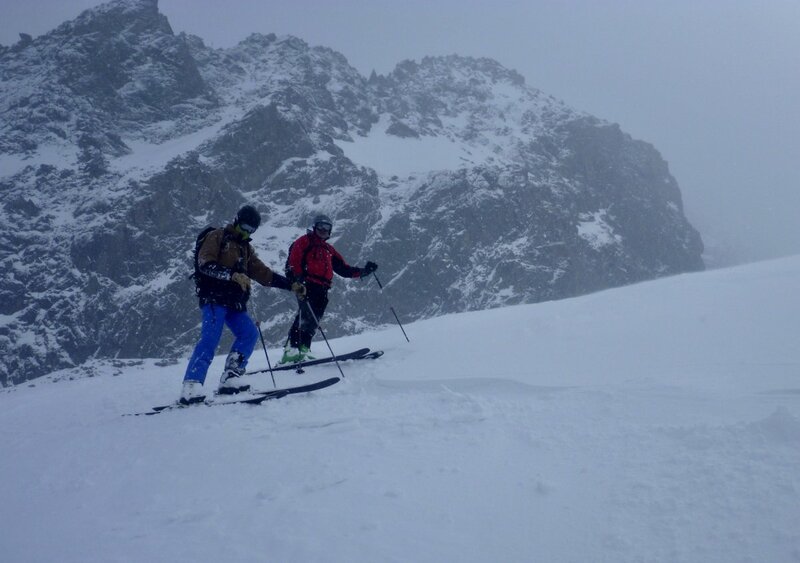 Ski Summit Of The Alphubel 4206m with the giants Tasch & Dom beyond. 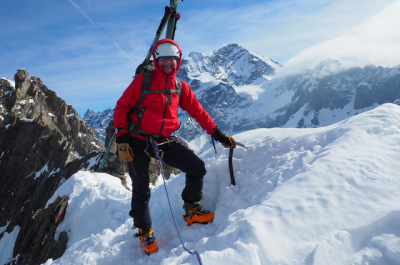 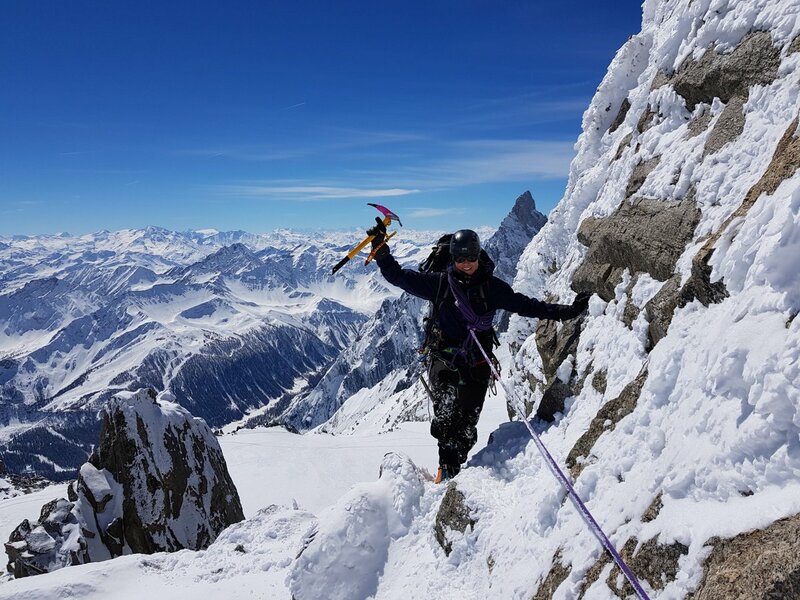 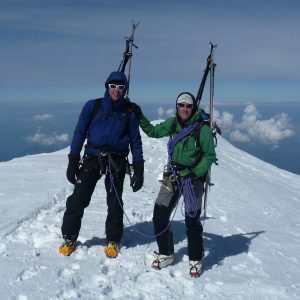 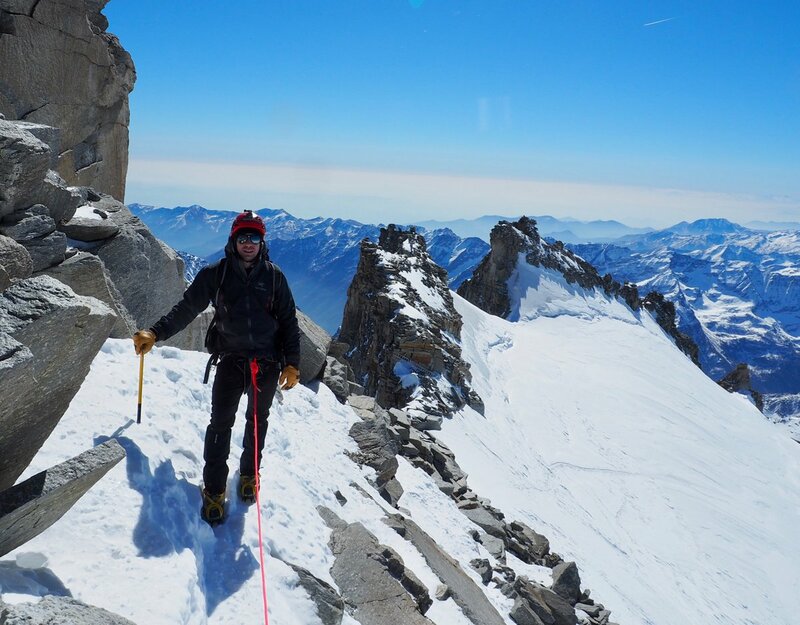 Those wanting to benefit further from their excellent acclimatisation won over the last 5 days in the high mountains can have the weekend off before doing our 3 day Ski Mont Blanc summit programme starting on the Monday morning! 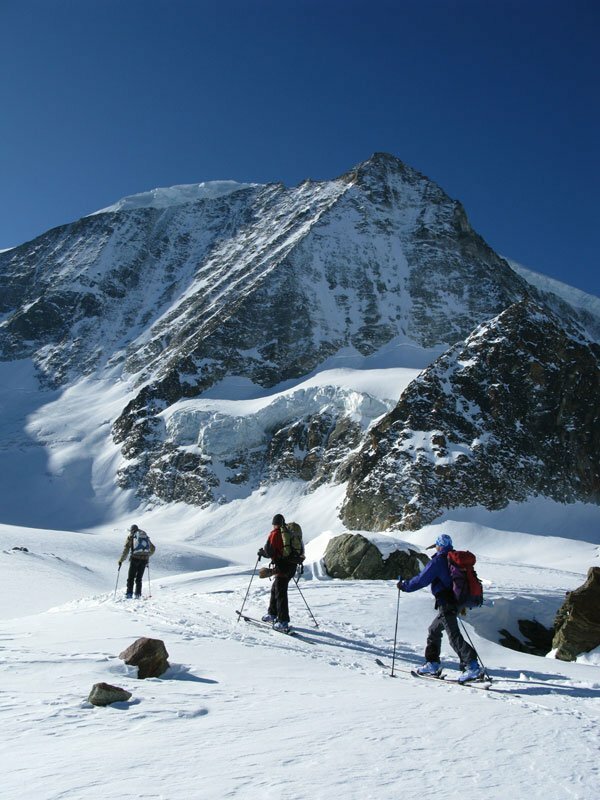 A very high level of mountain fitness is required for this course in order to complete multiple long summit days in a row. 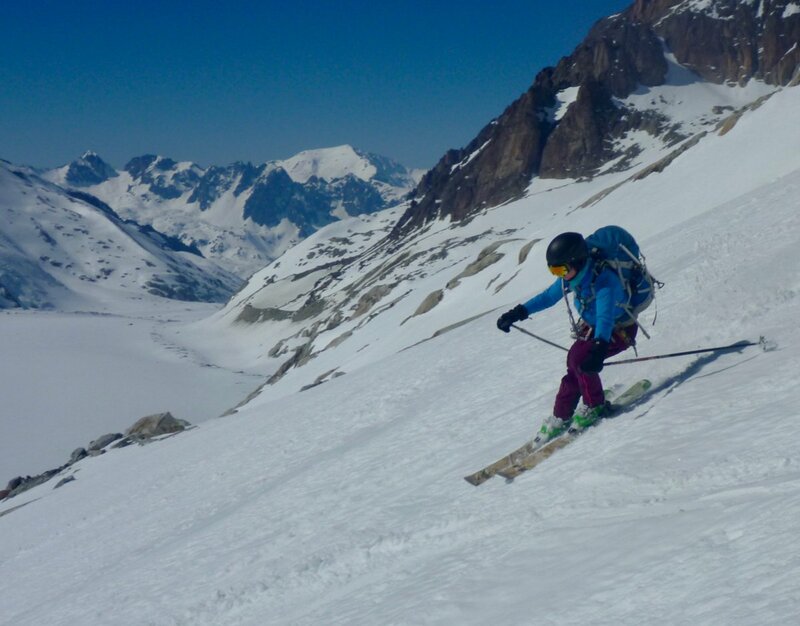 Thus an ability to comfortably maintain an ascent rate of 350m+/hr on skins or foot for up to 5 hours with regular transitions, which also require effort and energy! 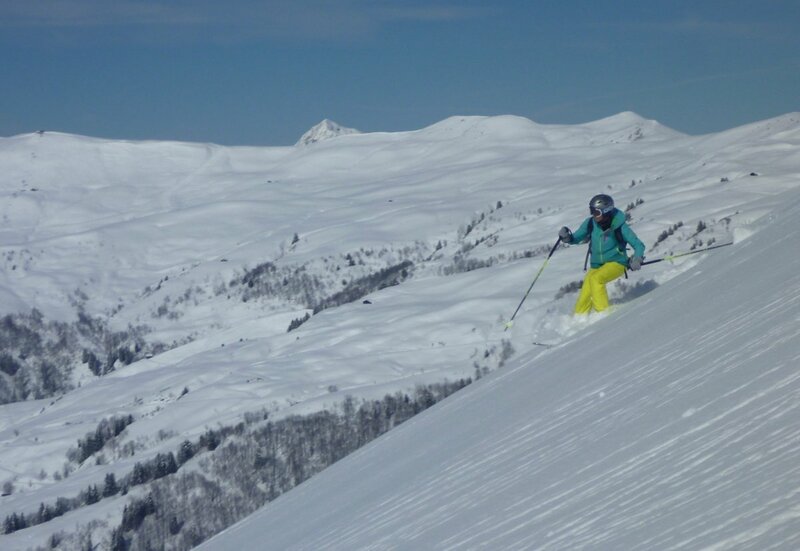 Very strong and effective off-piste skiing ability is also required with an ability to ski in all types of snow conditions including steep and exposed terrain. 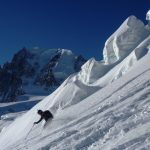 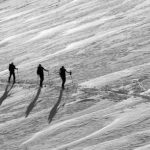 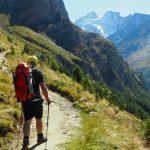 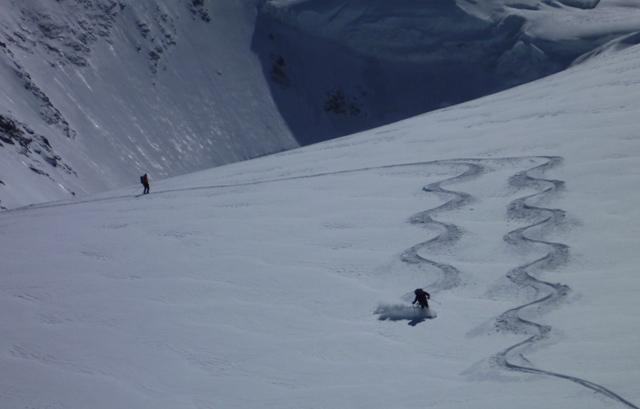 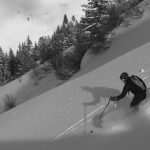 Significant ski touring experience is also required to ensure you have a strong and reliable kick turn and ability to use ski crampons and make efficient transitions. 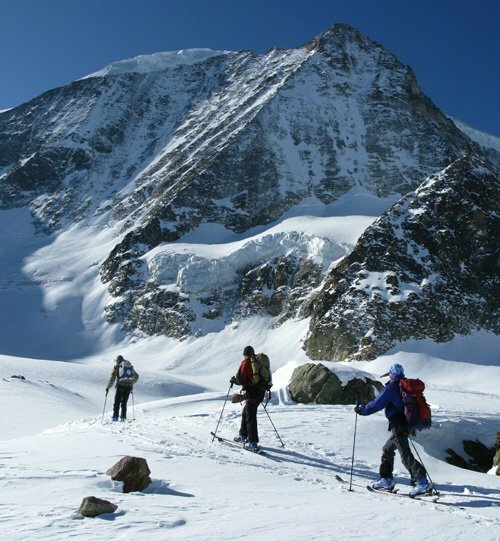 Some existing mountaineering experience with ice axe and crampons is also preferable. 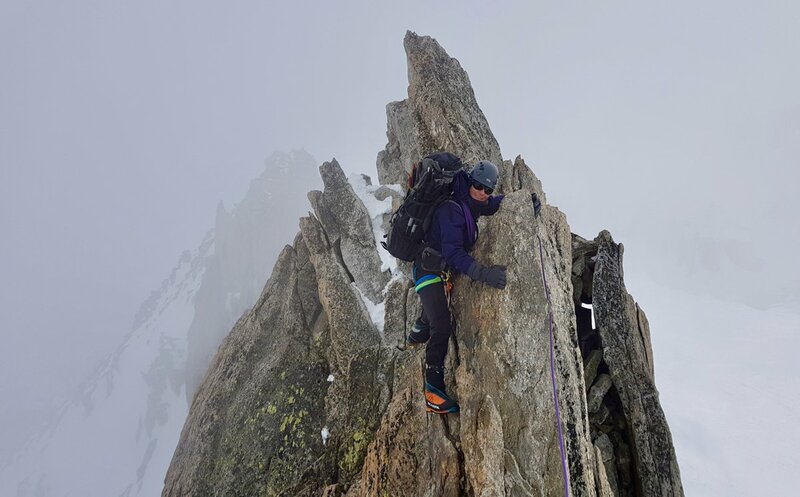 If you are keen to join this programme and don’t have quite all the skills listed here, please contact us to arrange other courses and private guiding to offer a suitable and inspiring progression.